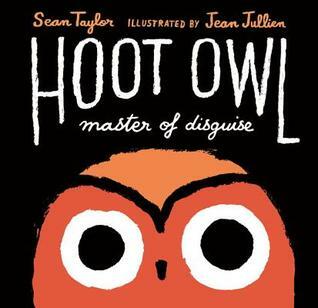 I don’t necessarily consider this a children’s book, more a book for all ages, especially if you enjoy poetry. I gave this book to my mom a few years ago. Now that she has passed away, it’s nice to have it on my own bookshelf to remind me of happy times we spent bird-watching together. I also love the watercolour illustrations! the forecasting call of the mysterious cuckoo as well as essential characteristics of more than twenty commonly seen North American birds. This artfully compiled field notebook — enriched by the evocative artwork of watercolorist Stan Fellows — captures the excitement of recognizing a bird, whether a darting kingfisher, a wandering wild turkey, or a chirpy house sparrow. Back matter includes notes for birdwatchers and haiku lovers. 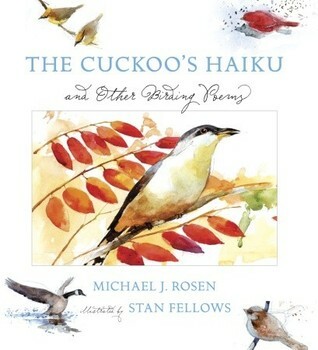 The Cuckoo’s Haiku was written by Michael J. Rosen and illustrated by Stan Fellows. 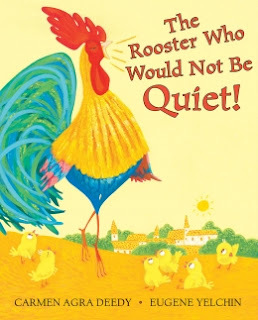 It was published by Candlewick Press in 2009. I admire the way some people can evoke such feeling with a few well-chosen words. It’s an interesting idea to create a set of poems based on different species of the same animal. It could spark inspiration for a poetry project of your own! The watercolor illustrations in this book are lovely, showing different seasons and realistic details in the different species of birds. I enjoyed the facts included with the illustrations (though the hand-written script style made them a little hard to read). American Crow: huge, violet black birds (commonly eighteen inches tall, with a wingspan twice that). 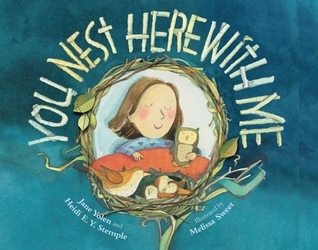 This would be especially lovely to read to students who are learning poetry or even students who are interested in birds and bird-watching. 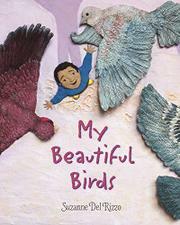 Which of the birds or poems in this book is your favorite? Think about why. Observe some birds out the window or at a local park. What words and phrases would you use to describe them? Try creating your own haiku poem about something in nature. 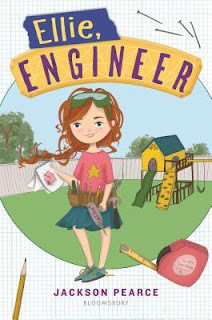 Bring drawing materials and watercolor paints outside. Create a "field guide" to your own backyard or school yard, observing and painting what you notice.